Almond | Sara.es on the GO! Almond bread, you wanna try it! Vegan & GF! 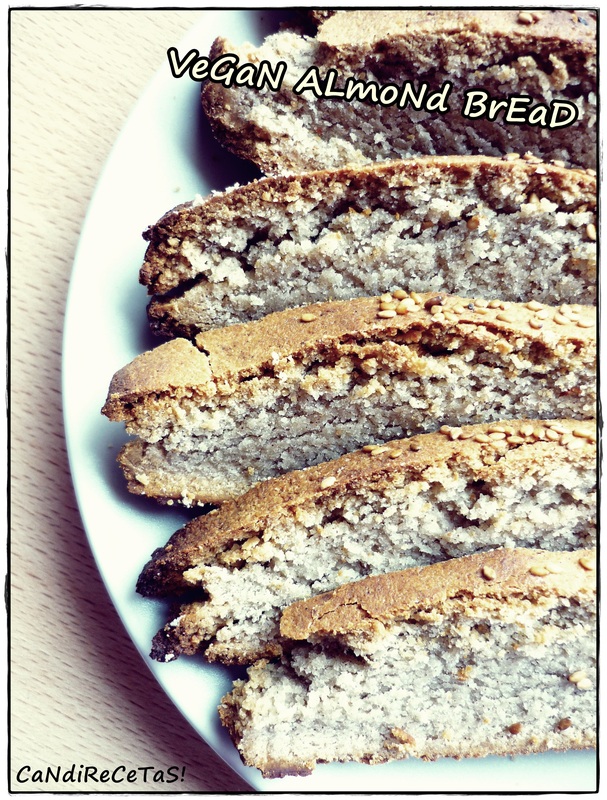 This almond bread is the “star” of my recipe blog in Spanish “Candirecetas“. 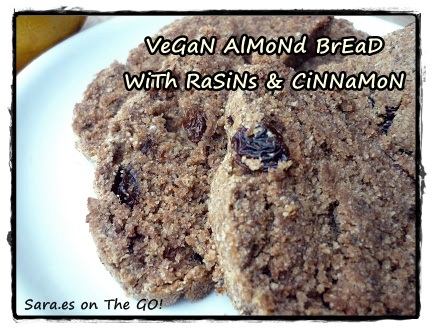 It is a great alternative for a gluten-free version with tons of proteins and good fats! Stir the chia together with the water in a big bowl and leave it for about 10min. Mix the almonds together with the selected herbs and salt. Get the oven platter ready, maybe with some oven paper or spreading some oil so that the dough doesn’t get stuck. Mix the lemon and the baking soda in a glass. Stir de chia and pour de rest of the liquid ingredients (lemon + baking soda & oil). Put it in the oven for about one hour and enjoy it! You can prepare it salty or sweet. You can give it a plain almond flavor or add other spices such us oregano or cinnamon!